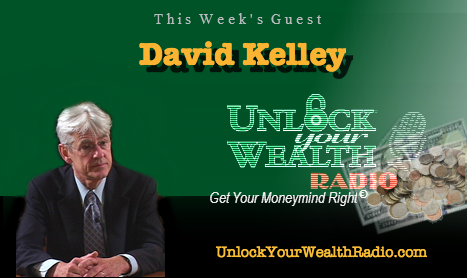 Founder of the Atlas Society and best-selling author David Kelley joined Unlock Your Wealth Radio in June of 2013 alongside host and Executive Producer Heather Wagenhals. 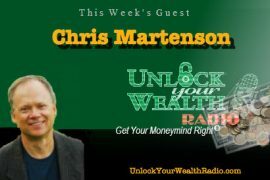 This was such a phenomenal interview that we are re-airing the duo again on The Unlock Your Wealth Radio Best of Season 23. Tune in this Friday, April 10th at 9AM PST as David Kelley shares the foundations of objectivism. The Art of Reasoning, one of the most widely used logic textbooks in the country. A Life of One’s Own: Individual Rights and the Welfare State, a critique of the moral premises of the welfare state and defense of private alternatives that preserve individual autonomy, responsibility, and dignity. 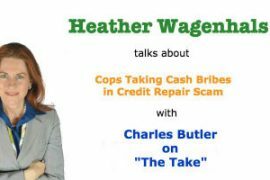 Tune in to hear objectivist David Kelley and Heather Wagenhals this Friday, April 10th at 9AM PST on the Libsyn platform of UnlockYourWealthRadio.com. 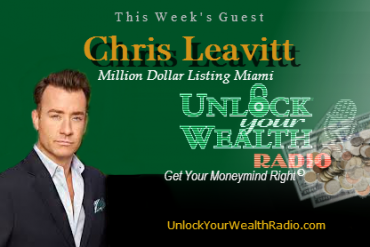 Season 23: The Best of Unlock Your Wealth Radio with Heather Wagenhals is where listeners can get their MoneyMind©Right with the hottest names in successful personal finance and celebrity guests like Larry Winget of A & E’s Big Spender, star of Million Dollar Listing BRAVO Chris Leavitt, and Sharon Lechter co-author Rich Dad Poor Dad. Our lineup of guests for The Best of Season 23 continues with T. Harv Eker author of Secrets of the Millionaire Mind, Nathaniel Branden the Father of Self-Esteem, Chicken Soup magnate Mark Victor Hansen, real estate expert Jason Hartman, Kiana Danial the Invest Diva, Mastering Happiness coach Dr. Joel Wade, NFCC-accredited Consumer Credit Counselor Thomas Nitzsche, serial entrepreneur Tom Corson-Knowles and frugal living expert Sara Tetreault.